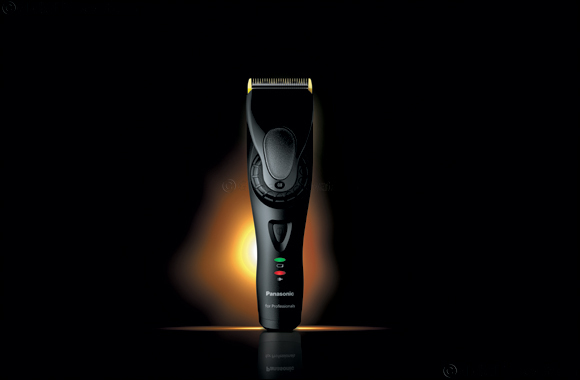 Dubai, UAE, May 08, 2018: Panasonic has unveiled a hair clipper that combines power, performance and design, expanding the brand’s line of next-generation trimmers and shavers in the professional market. Debuting at the ongoing Beautyworld Middle East in Dubai, the flagship model, ER-GP80, is made-in-Japan and this Panasonic's new hair clipper features uniquely shaped blades providing outstanding cutting performance satisfying the strict demands of professionals. Moreover, ER-GP80 is built with the unique X-Taper Blades, which are specially-designed to reduce stubble and that firmly catches and cuts hair that are often missed. The stainless steel X-Taper Blades are honed to a 45-degree angle for precision cutting and trimming for efficient cutting performance. The ultra-sharp blade edge provides quick, clean cutting even through dense areas of thick and hard hair. In addition, this professional hair clipper uses a powerful Linear Motor that is enhanced with Constant Control, with advanced sensor technology that detects the density of hair and automatically controls the speed of blade movement to assure smooth, steady cutting. The result is a clean cut even with dense hair. Joining the ER-GP80 are two other new professional trimmers from Panasonic – the ER-GP21 and the ER-1511, both made in Japan as well. The ER-GP21 is built with ultra-sharp Close Blades to deliver exceptionally accurate and clean cut. The clipper also promises Reduced Vibration to ensure hair stylists a more comfortable feel while allowing a more stable and precise cutting. Ergonomically-designed, the ER-GP21 has a compact body that easily fits into the hand and is lightweight, which makes it favourable for prolonged use. The ER-1511, meanwhile, offers precision cutting with blades sharpened to a 45-degree edge. This superior professional hair clipper is built with a convenient 3-stage LED battery indicator, as well as height adjustment control dial (adjustable from 0.8 to 20 mm). Convenient and easy to handle, the device is lightweight and portable yet guaranteed to last. At the event, Panasonic also featured a new beauty product, an advanced styling iron called the nanoe™ Hair Straightener EH-HS99. Using the company’s proprietary nanoe™ technology, this breakthrough gadget makes it possible to achieve healthy, smooth hair with professional finish. Nanoe™ atomized water particles, generated from air holes on the side of the straightener’s heat plates, contain about 1,000 times more water than regular ions. Even when styling at a high temperature, nanoe™ prevents moisture loss and heat damage, tightening the cuticle and moisturizing hair, leaving it sleek, straight and lustrous. Ergonomically designed for superior comfort with no irritation, the Hair Straightener EH-HS99 is built with a 5-level temperature setting (150 - 230⁰C) for effortless hair styling. Panasonic Grooming and Beauty products are available in the UAE at Panasonic showrooms, as well as in major retailer outlets. They are also available in other GCC markets, as well as in Iran and Pakistan.